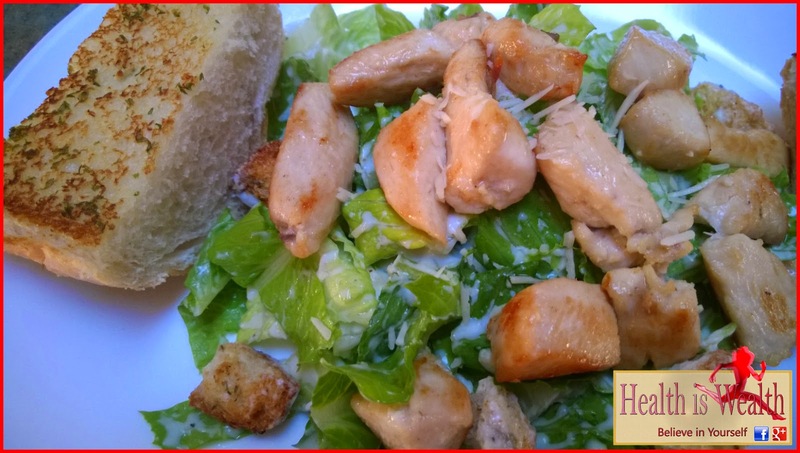 This Chicken Caesar is far lighter, and just as good, as the popular full-fat version. Prepare a grill and rub chicken with oil and season with salt and pepper. Grill chicken until browned and no trace of pink remains in the center, 3 to 4 minutes per side. Combine lettuce and croutons in a large bowl. Toss with Caesar Salad Dressing and divide among 4 plates. 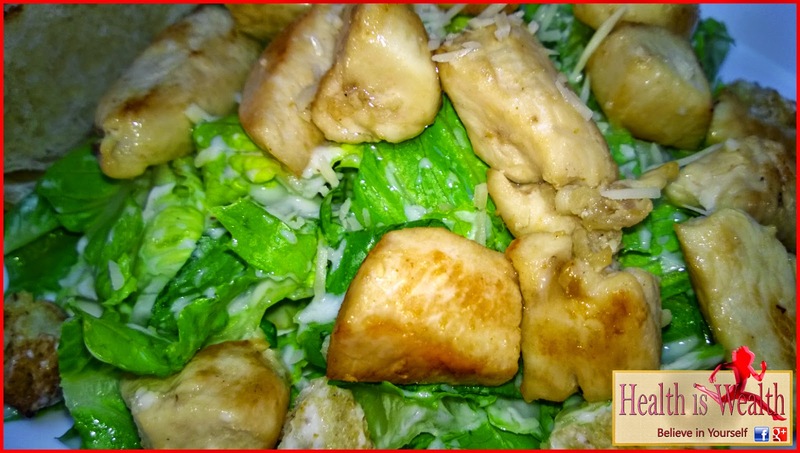 Cut chicken into 1/2-inch slices and fan over salad. Top with Parmesan curls. Serve immediately, with lemon wedges and garlic toast. Enjoy!